For the main international airport serving the Orlando area, see Orlando International Airport. Orlando Sanford International Airport (IATA: SFB, ICAO: KSFB, FAA LID: SFB) is in Sanford, Florida, near Orlando. It was built as Naval Air Station Sanford, a Master Jet Base for carrier-based attack and reconnaissance aircraft until 1969. The airport is owned and operated by the Sanford Airport Authority. Due to flight training, the airport is consistently in the top 30 busiest airports in the world in terms of total flight operations (takeoff and landings). It is the Orlando area's secondary commercial airport, but is farther away from downtown Orlando and the major theme parks (Walt Disney World, Universal Orlando Resort, and SeaWorld Orlando) than the primary airport, Orlando International Airport (MCO/KMCO). Because of that affiliation, passenger traffic at Orlando Sanford International Airport was once dominated by European charter carrier service. Since 2008, however, a majority of its passenger traffic has been domestic; this is attributable to the entrance of Las Vegas-based Allegiant Air, for which Sanford is a focus city. Sanford was also a small focus city for the travel marketer Direct Air until the company's demise in 2012. Orlando Sanford International Airport started life as Naval Air Station Sanford with the airport codes NRJ and KNRJ. Commissioned on November 3, 1942, the base initially concentrated on advanced land-based patrol plane training. It was used by the U.S. Navy until it closed in 1969. The City of Sanford assumed control of the former NAS Sanford in 1969 and renamed the facility Sanford Airport, hiring the air station's recently retired Executive Officer, Commander J. S. "Red" Cleveland, USN (Ret. ), as the first Airport Manager. The city concurrently established the Sanford Airport Authority. For the next twenty-five years, the airport was a general aviation facility and periodically hosted civilian/military air shows and static displays. Initially an uncontrolled airfield, the control tower was reactivated in the early 1970s as a non-FAA facility, employing a number of retired enlisted Navy air traffic controllers who had served at NAS Sanford. Additional name changes followed, to include Sanford Regional Airport, Central Florida Regional Airport, Orlando Sanford Regional Airport and the current Orlando Sanford International Airport. Through the 1980s and 1990s the oldest Navy buildings were demolished while those built in the 1950s and 1960s were renovated for civil use. New buildings and hangars were added. OLF Osceola was transferred to the control of Seminole County, Florida but was never officially recommissioned as an active airfield. In the 1970s the former OLF began to be used by general aviation drug-smuggling aircraft as a transshipment point. Following a major drug interdiction by local and federal law enforcement agencies, Seminole County placed large speed bumps at various intervals across the runway to deter future illegal use. By the 1980s the county began to use the site as a landfill and dump, demolishing the remaining runways. In 1992 parts of the action film Passenger 57, starring Wesley Snipes, were filmed at the then-Orlando Sanford Regional Airport, where it represented a small airport in Louisiana. Shortly after filming, a new control tower was built and air traffic control operations assumed by the FAA. The Navy control tower and the large Navy hangar to which it was attached were demolished. In the mid-1990s a new passenger terminal capable of accommodating jet airliners was built. Charter airlines catering to the heavy British tourist demographic that had previously been using Orlando International Airport were offered greatly reduced landing fees at Sanford, and therefore many carriers relocated their operations. In 2010 Allegiant Air announced it was moving many flights to the larger and more centrally located Orlando International Airport in order to compete with AirTran Airways. Owing to passenger feedback, all flights have returned to Orlando Sanford. In 2014 Thomas Cook Airlines moved back to the larger Orlando International Airport after almost a decade of serving Orlando Sanford with the operations of Airtours, JMC Air & My Travel. Icelandair later moved to Orlando International Airport in 2015. In March 2015, Monarch (UK) ceased all longhaul operations, therefore resulting in the termination of all flights to Sanford. This was completed to approach a budget-airline model within Europe, despite Monarch's many years of charter service. The service that was offered included an economy cabin, this ticket included in-flight meals and entertainment from the overhead screens, with premium economy featuring more legroom, seatback entertainment, baggage allowance and amenity kit. All services were operated using the Airbus A330 and served London Gatwick, Manchester and Glasgow International. From 2017, Thomson Airways will operate 9 UK routes, the most international routes from Sanford and the airline also now operates long haul flights from the most UK airports. Thomson's new airport is Bristol. The airport is home to Aerosim Flight Academy, formerly Delta Connection Academy, a subsidiary of Delta Air Lines, which provides ab initio flight training for prospective regional airline and international pilots. The Seminole County Sheriff's Office has a hangar and support facility for aviation elements of the agency's Special Operations Division. The dominant runway is 9L/27R. This was built from the naval air station's original Runway 9/27, which was 8,000 ft (2,400 m) x 200 ft (61 m) with overruns of 2,145 ft (654 m) and 1,985 ft (605 m). A project to extended runway 9L/27R by 1,400 ft (430 m) to 11,000 ft (3,400 m) was completed on April 1, 2013. Parallel Runways 9C/27C and 9R/27L were built later, the former on a previous taxiway and the latter all-new, for small aircraft. The airport also has Runway 18/36, another Navy runway, for rare northerly fronts in the winter, but this 6000-ft runway is rarely used by airliners. In August 2017, there were 350 aircraft based at this airport: 223 single-engine, 58 multi-engine, 57 jet and 12 helicopter. Numerous aircraft mishaps occurred during the World War II years, but detailed data are not readily available. On March 29, 2007, Allegiant Air Flight 758, a McDonnell Douglas MD-80 aircraft that took off from Pease International Airport in Portsmouth, New Hampshire, experienced a hydraulic failure that prevented the nose landing gear from deploying. The plane made a safe landing at Orlando Sanford International Airport, with only one minor injury sustained in the aircraft evacuation. 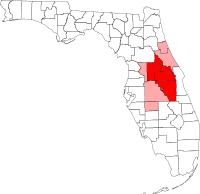 On July 10, 2007, a Cessna 310, originating from Daytona Beach International Airport, Florida, en route to Lakeland Linder International Airport, Florida, crashed into two homes in Sanford, Florida, killing five people: the pilot, his passenger, and three people inside the houses. The pilot reported smoke in the cockpit and attempted an emergency landing at nearby Orlando Sanford International Airport. NASCAR said the pilot of the plane was Michael Klemm, a senior captain with NASCAR Aviation. His passenger was Dr. Bruce Kennedy, husband of International Speedway Corporation president Lesa France Kennedy, the daughter of the longtime head of NASCAR Bill France, Jr., who had died a month earlier in June 2007. They were the only two people on the plane, according to both NASCAR and the NTSB. Four people also were injured, three of whom were critically burned, authorities said. The NTSB factual report dated December 2007 indicates that the accident was caused by an electrical malfunction, including smoke in the cockpit, that occurred on the previous flight and that was not rectified prior to the accident flight, resulting in the subsequent fire. The accident pilot was informed about the known problem prior to flight but elected to fly the aircraft regardless. On October 8, 2010, Allegiant Air Flight 700, a McDonnell Douglas MD-80, caught fire in the right engine shortly after departing the gate at Orlando Sanford International Airport. The fire was quickly extinguished, and the passengers safely exited the plane with no injuries being reported. The flight was scheduled to depart for Roanoke Regional Airport in Roanoke, Virginia, at 7 a.m.
^ a b FAA Airport Master Record for SFB (Form 5010 PDF), effective August 17, 2017. ^ a b c "Orlando Sanford International Airport - Annual Passenger Counts". Retrieved 12 June 2016. 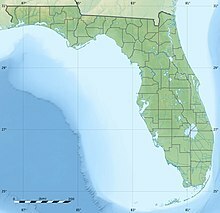 ^ Abandoned & Little-Known Airfields: Florida, Daytona Beach area. Members.tripod.com (1944-03-15). Retrieved on 2013-07-23. ^ Ben Mutzabaugh, USA TODAY (22 October 2014). "Icelandair to switch airports in Orlando". USA TODAY. ^ "Flight Timetable". tui.co.uk. 5 April 2018. Retrieved 5 April 2018. ^ "RITA - BTS - Transtats". www.transtats.bts.gov. Retrieved February 25, 2019. ^ "Allegiant Jet Moved After Emergency Landing". WESH. 30 May 2012. Archived from the original on 18 May 2009. Retrieved 3 June 2015. This page was last edited on 4 April 2019, at 22:43 (UTC).